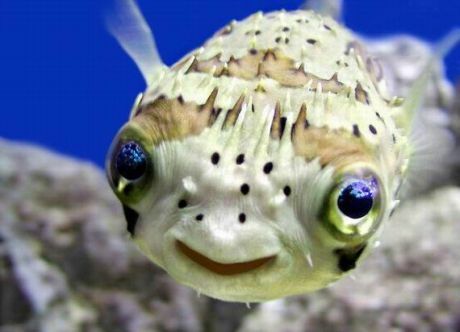 It’s in the family Tetraodontidae, the puffer fish. The scientific name refers to those doofy teeth. The boxy shape and fins are pretty distinctive. a) W00t! I totally guessed it was some sort of puffer fish! b) I for one am terribly disappointed in you as a biologist. Just as much as when I met that nuclear engineer that couldn’t identify every model of steam locomotive on sight. Any idea how much Neanderthal DNA Homo Sapiens Boyfriendii carries? It looks like quite a lot. 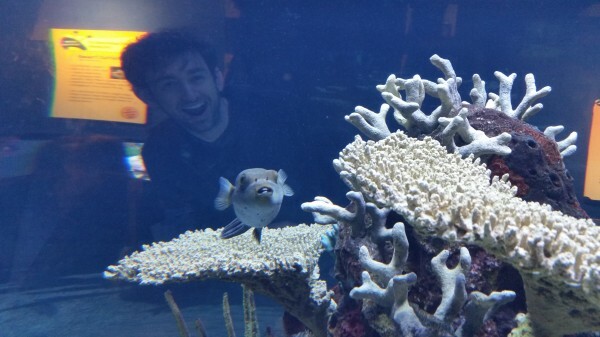 BTW, that fish isn’t derpy, just dorky. The term “derp” is reserved for right wingnuttery. So, like, a flatfish with an image of the continents on its back would be derpy.